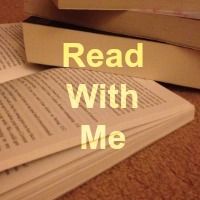 One of the lovely ways to spend time together with BookBairn is poring over a good book. And whilst we read lots of lots of stories, we also love to look at illustrations and have recently started getting excited about seek-and-find books. There's lots of evidence that having a coordinated gaze with your child helps to develop empathy, compassion and lays the groundwork for learning. Basically, looking together and talking together about what you see helps your child to learn and grow. And seek-and-find books are perfect for that! So many of these sorts of books (Where's Wally/Waldo) are aimed at older readers than BookBairn. 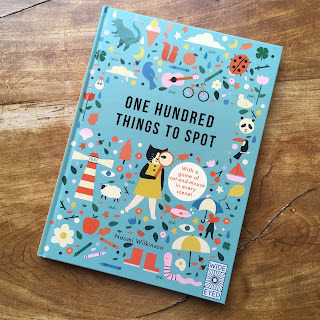 Fortunately we've discovered a great list of simple seek-and-find books that are a little easier for younger readers. So you can seek-and-find together with you little one. This is BookBairn's current favourite of the seek-and-find books that we have discovered. She loves the frog page: so much so that she has memorised it. (Which sort of spoils the point of the book but nevermind!) The illustrations in this one are so bright and cheerful - I love Gareth Lucas's bold designs. On each page there are half a dozen or so speech bubbles setting a little seek-and-find challenge for children which is great for younger ones as it's not too overwhelming in terms of things to find. It's also a wonderful jungle theme which will appeal to many kids! The other to mention about this book is that this is a library copy which I have discovered is a great way to read these sorts of books because after a few reads little ones can master these simpler ones so you can return them and swap for another. If you've never seen seek-and-finds in your library, I hadn't before, ask your librarian if they have any or if they can get some in! Another library borrow, I just adore this one! It's full of British countryside flora and fauna. Along the bottom of each page is a glossary/seek-and-find list and there additional, more challenging questions in the illustration. This is great as there's room for growth in this book meaning that your little one won't get bored of it too quickly! But the reason that this one makes the list is that the illustrations are enchanting. Sebastien Braun illustrates the Can You Say It Too? series for the same publisher and we love those books too. I find his style so engaging which is exactly what you want from these sorts of books. 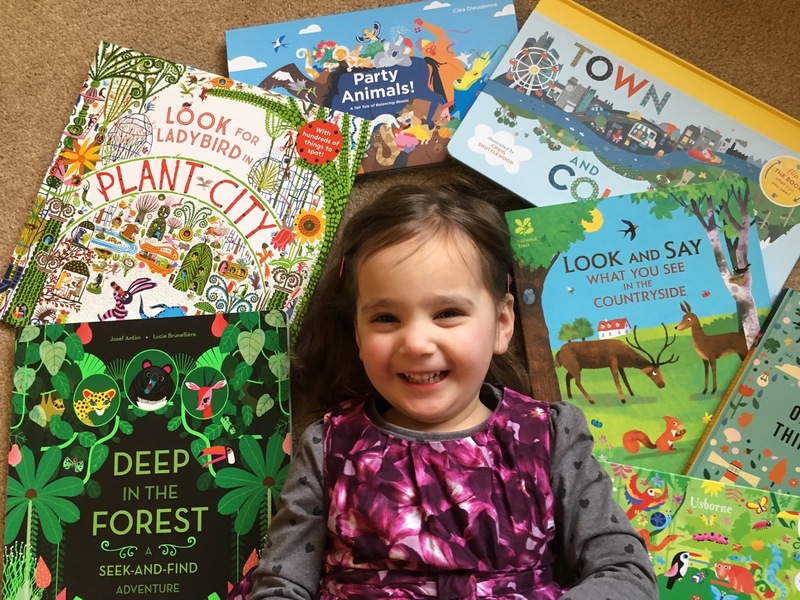 The focus on British wildlife is also wonder (it was made in collaboration with the National Trust) as BookBairn can relate to the creatures she sees from blackbirds to pheasants to woodlice to nettles and bracken. 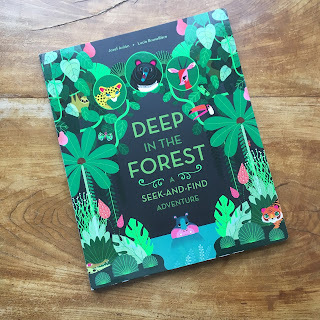 So not only can we look together at this book we can take what we have spotted (and learned the words for) and seek-and-find them when out for countryside and woodland walks! The key selling point of this book is that it is a 'turnaround book'. Basically it's a book of two halves! You hold the book horizontally and flip the pages upwards the lower page features a countryside scene and the upper page, when you turn it around, shows the town page. You can see in our photographs that it means two children can play in tandem in our full review of this book linked here. But it's great for siblings or playmates to play together. You could even do speed challenges to see who can find all their things the fastest. The illustrations are brilliant and it's no wonder it's been recognised for it's artwork as well as the conceptual design of the 'turnaround'. All the animals have quirky expressions and would make great characters in stories of their own rights and everything is easily recognisable but also appealing to children. The final pages feature a book-long glossary as well as a few extra things to find! This is truly one of the most beautiful books that I have ever seen. I adore the illustration! Each page is packed with jungle animals and the flora and fauna of the rainforest. The colours are vivid, striking, intense, brilliant, bright, strong, rich deep... I could go on! Each page takes a different perspective showing the forest from above, delving underground, floating down the rivers, above the tops of the trees, and even a night scene where the eyes of all the creatures are glowing luminously. It really is a work of art. 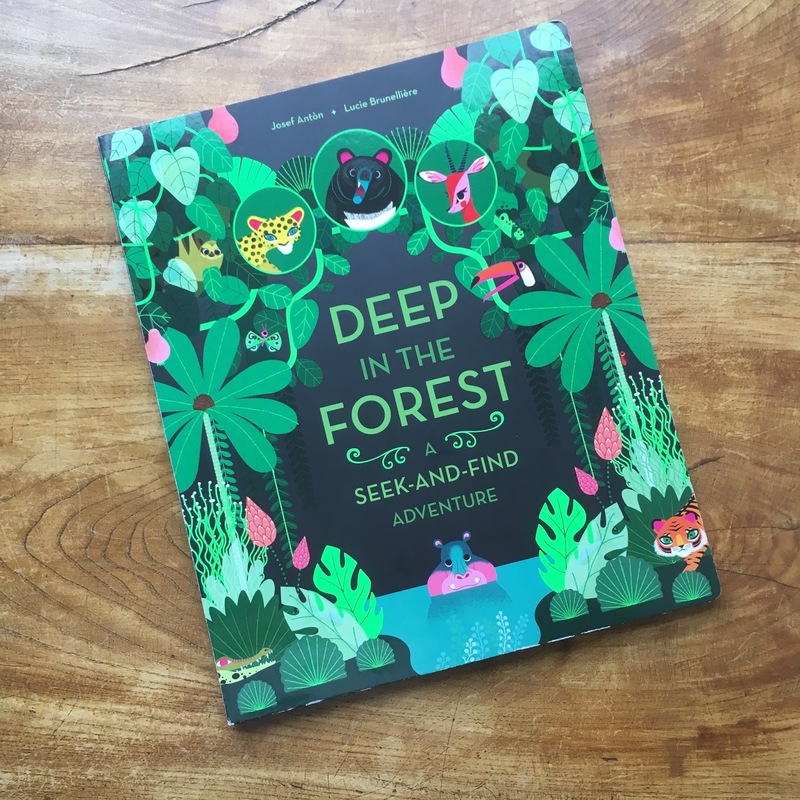 The seek-and-find element of this book is less blatant with the 50 animals to find are listed on the back and throughout the text with an animal truly hidden under a flap on each page too. But it's definitely one to lay on the floor, stretch out and explore together. This is a brilliant book for creating discussion with your little one. In this book there are one hundred things to spot and each double-page spread gives your little one a list of things to find and then they turn the page to look for them! The instruction page says "shout as you find each one". And on each finding page these are a cat and mouse so you can play cat-and-mouse in every scene. But it's also a first concepts book - the things you have to find are certain numbers of objects, shapes, colours, patterns, feelings and opposites. The illustrations are more sparse than some of the other seek-and-find books making this a perfect starting point to look at together. They also have a retro feel which is so appealing. This is a chunkier book than some of the others meaning that it's packed full of entertainment! Part narrative story and part seek-and-find this book has provided hours and hours of fun! As you unfold each page of the book part of the story is revealed and you get a suggestion of which animals to spot. The animals are performing an amazing balancing act, piling one on top of the other to form a teetering tower of creatures: some in fancy dress, some putting up decorations, helping with gifts and organising the food. The illustrations are bright and colourful, and the creatures are a fun interpretation of the real thing. The party scene is certainly fun and every time we read it I spot something new and fascinating. BookBairn still finds comfort in re-finding the same things but every time I draw her attention to something different she looks for it again the next time. Mostly I think she enjoys the size of this one and unfolding it across the whole floor - such a novelty! Seriously, it requires lots of space to play: check out our photos in our full review linked here. But if you find a space to stretch it out you'll find it such fun! This one is one that we are just growing into as the illustrations are far more cluttered (in a good-way for a seek-and-find) and she finds spotting things a bit more challenging. Ladybird has gone missing and is hidden in every scene as well as other things to spot. We tend to just focus on the ladybird at the moment to make it simpler and then talk about the things we can see rather than the things we need to find. Also in this one there isn't a picture glossary of the things you need to find - it's written in the text so definitely need an adult if your child isn't reading yet. But that's part of the fun is doing the seeking and finding together. This is such a quirky style of illustration it's great fun to spend so much time appreciating the artwork with your child. Hope we've helped you to seek-and-find a good book to look at and explore together! DISCLAIMER: We borrowed the first two books listed from our local library and the others were sent from the publishers for review. Words and opinions are, as always, our own. This type of book is great for BookBairn and this is a great selection. She just loves looking for hidden things. She really does - Easter eggs in particular! Thank you for this lovely post! My little loves are quite young yet but do enjoy a good search and find. 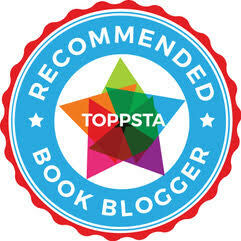 We've discovered some of the books you've mentioned but can't wait to check out the others! Such fun! And great for out and about! I love books that encourage us to get down and play with our kids!